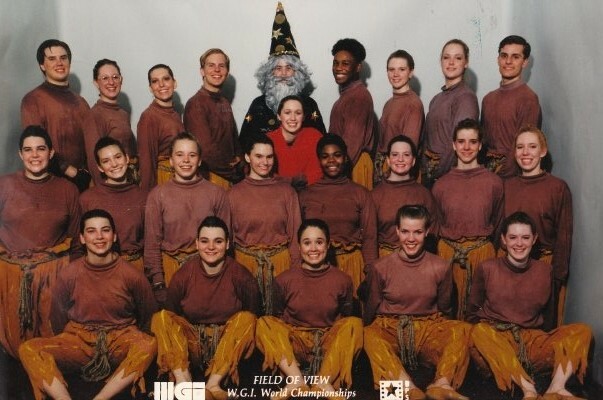 1991 saw Field of View's fan base grow like crazy, as we brought our production of the "Sorcerer's Apprentice" to the color guard world. The show was based on the music of the children's classic complete with a castle set...stair cases...and the ever famous saber feature where the performers wore water buckets over their heads. Field of View was now known as the "Entertaining" color guard. Season highlights include : 8th place finish at WGI World Championships, Pennsylvania State Champions, TIA Wildwood Champions, Philadelphia Freedom Festival TV performance, Philadelphia Thanksgiving Day Parade live TV performance, and Performance with Walt Disney World Promotion.